Forget "A Night at the Opera." You could spend a night at Groucho's house if you can pony up $12.9 million. 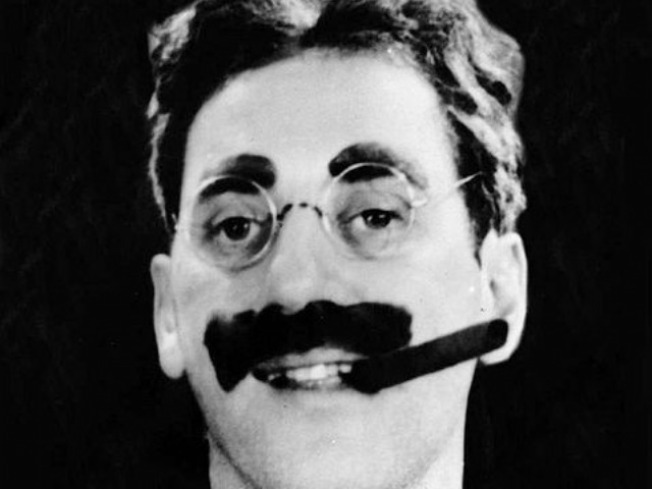 Grab your fake mustache, cigar and checkbook -- the Beverly Hills home of Groucho Marx is up for sale. The five-bedroom estate, designed by architect Wallace Neff, is on the market at $12.9 million. The Trousdale Estates home, which has been rebuilt and updated but maintains its Neff footprint, is entered through a landscaped motor court with a central fountain. The one-story contemporary has strong horizontal lines, with walls of wood and glass, and terrazzo and walnut floors. There are five bedrooms and six bathrooms in slightly more than 6,000 square feet. Marx lived in the home until his death in 1977 at the age of 86, The Associated Press reported.